• Use a natural palette of colors. This doesn’t mean you should use earth tones, but instead refers to using colors that one would naturally see on a casual stroll around town—avoid ultrabright colors that can cause eye strain. • Use a small color palette. You don’t need to use 15 different colors to achieve your goals. In fact, if your page includes text and images in 15 different colors, you might reevaluate the message you’re attempting to send. Focus on three or four main colors with a few complimentary colors, at the most. • Consider your demographics. You are likely not able to control your demographics and thus have to find a middle ground that accommodates everyone. The colors enjoyed by younger people are not necessarily those appreciated by older people, just as there are color biases between men and women and people from different geographic regions and cultures. With just these few tips in mind, it might seem as if your color options are limited. Not so—it simply means you should think about the decisions you’re making before you make them. 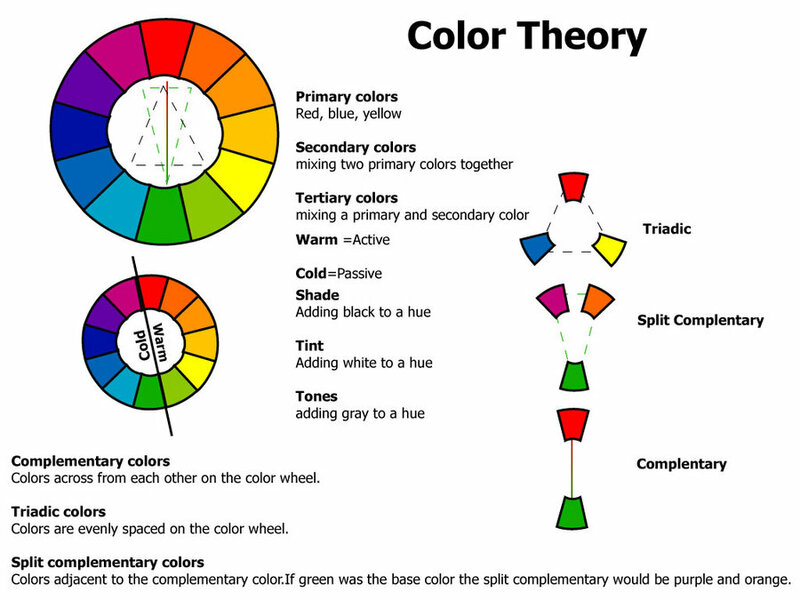 A search for color theory in the search engine of your choice should give you more food for thought, as will the use of the color wheel. The color wheel is a chart that shows the organization of colors in a circular manner. The method of display is an attempt to help you visualize the relationships between primary, secondary, and complementary colors. Color schemes are developed from working with the color wheel; understanding color schemes can help you determine the color palette to use consistently throughout your website. For example, knowing something about color relationships will hopefully enable you to avoid using orange text on a light blue background, or bright blue text on a brown background. • Analogous— Colors that are adjacent to each other on the color wheel, such as yellow and green. One color is the dominant color and its analogous friend is used to enrich the display. • Complementary—Colors that are opposite from each other on the color wheel, such as a warm color (red) and a cool color (green). • Triadic—Three colors that are equally spaced around the color wheel. The triadic scheme provides balance while still allowing rich color use. Spend some hands-on time with the color wheel. The Color Scheme Generator at http://colorschemedesigner.com/ enables you to start with a base color and produce monochromatic, complementary, triadic, tetradic, analogic, and accented analogic color schemes.